Beijing, China – A Squaw Valley Alpine Meadows ”stoke delegation” this month visited the resort’s sister mountain in China, Genting Secret Garden, as part of the two resorts’ ongoing effort to spur interest in skiing and snowboarding in China in advance of the 2022 Beijing Winter Olympics, and as outbound tourism from China to the U.S. — and especially to California — grows. 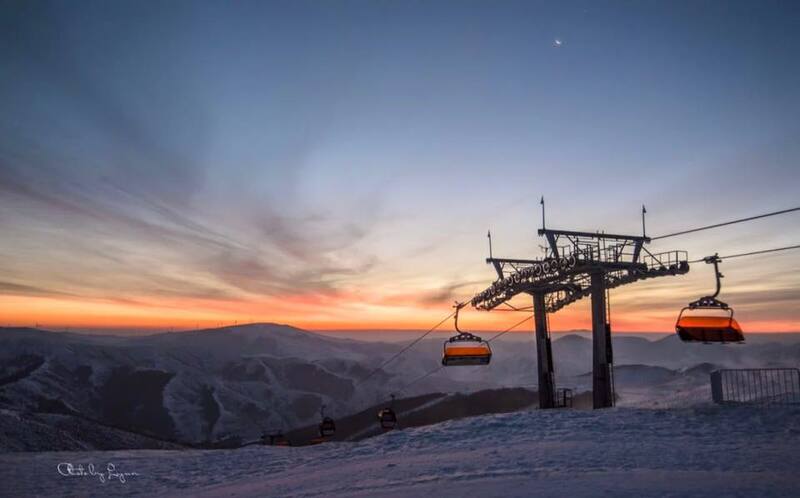 According to the China Ski Association, the number of skiers in China has gone from around 200,000 in the year 2000 to 12.5 million in 2015. Furthermore, California is currently the top U.S. destination for Chinese travelers, who spent $2.5 billion in California in 2015, according to research by Visit California. 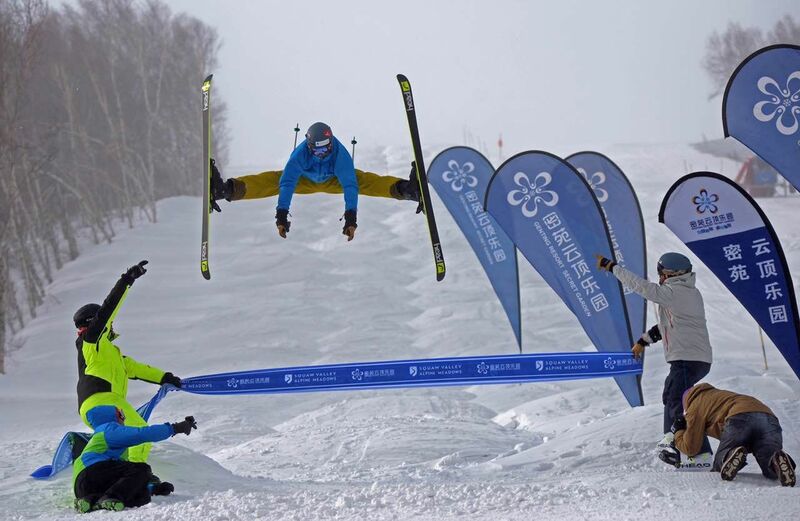 Genting Secret Garden will be the venue for Olympic freestyle skiing and snowboarding events during the 2022 Beijing Winter Olympics. 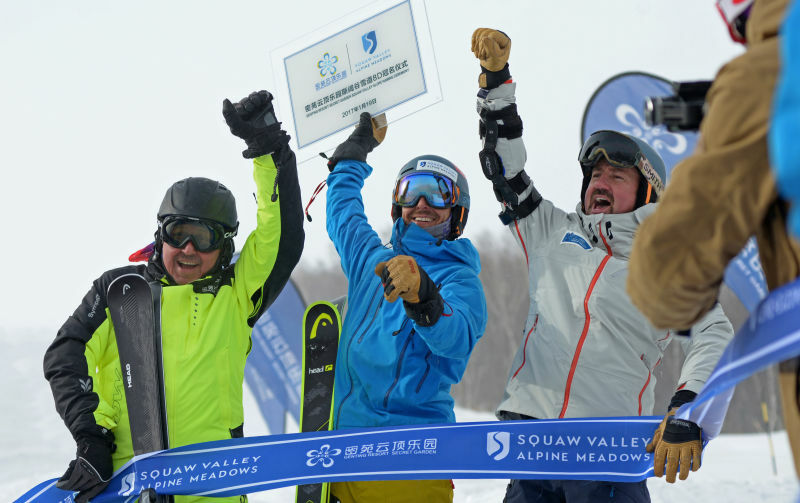 In a nod to Squaw Valley’s successful hosting of the 1960 Winter Olympics, resort managers renamed the trail that will host the mogul skiing competition “Squaw Valley.” The renaming ceremony concluded with Moseley, who won gold in mogul skiing at the 1998 Nagano Winter Olympics, christening the trail with a blistering run complete with huge airs. 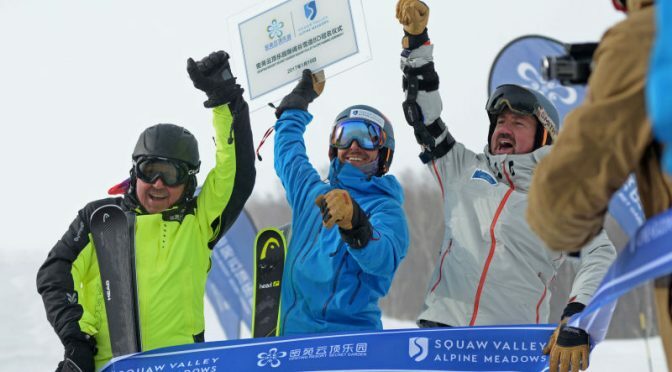 Moseley, who will serve as an NBC commentator for the network’s coverage of freestyle skiing events at the 2022 Olympics, also extended a Squaw Alpine tradition to China during the visit – “Ski With Jonny.” Just like visitors to Squaw Valley Alpine Meadows, Genting Secret Garden skiers and riders had the chance to take a run with America’s hero of the 1998 Olympics. 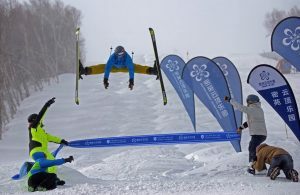 The extended session included mogul skiing tips from Moseley on the Squaw Valley run. The delegation’s itinerary also included stops at a Beijing location of the retailer Halti, where Moseley signed autographs for an enthusiastic crowd. Gao, who has skied internationally in Canada, New Zealand, Japan, and most recently this winter, Squaw Valley, encouraged her fellow Genting Secret Garden locals to return the favor and see the resort for themselves. “It was very exciting to see Jonny Moseley and his friends from Squaw Valley Alpine Meadows come all the way from California to ski at our resort in China,” she said.